Our biggest and most magical event of the year is coming up soon, on Sunday, December 2nd. 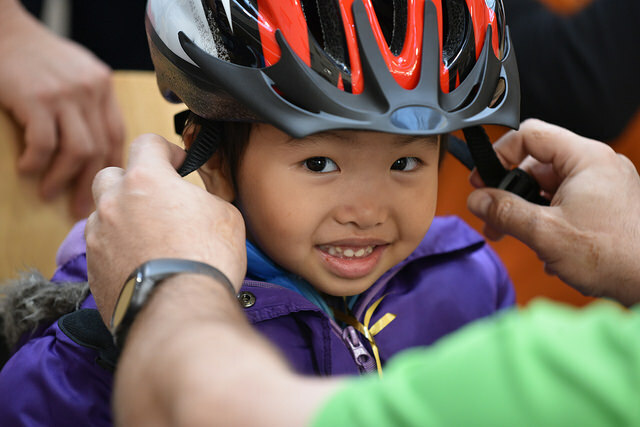 Hundreds of kids from families with low incomes will get to choose a bike to take home, and the smiles will light up the room. We have a few slots still available for volunteers to help with the magic, that day and the day beforehand (transporting bikes and setting up). If you are interested, check out the specific volunteer roles available and sign up here. Many thanks to the generous sponsors who are making the 2018 Holiday Bike Drive possible: Lam Research, Stalkmarket Compostable Products, the Multnomah Athletic Foundation, Heritage Bank, Salt and Straw, United Way of the Columbia Willamette, and ZGF Architects LLP.